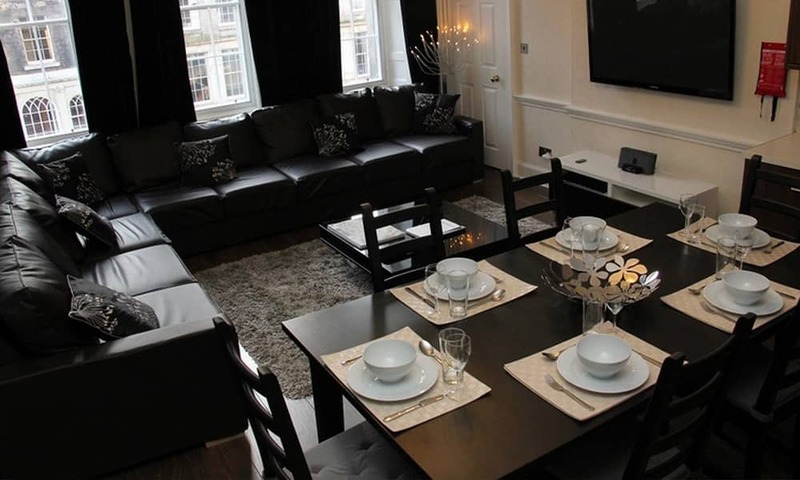 If you're looking for somewhere to stay for a weekend in Scotland's capital then stay in these Edinburgh city centre apartments in the West End of Edinburgh. The apartments offer superior accommodation and they are all conveniently located for sightseeing and enjoying all the attractions that this beautiful city has to offer. 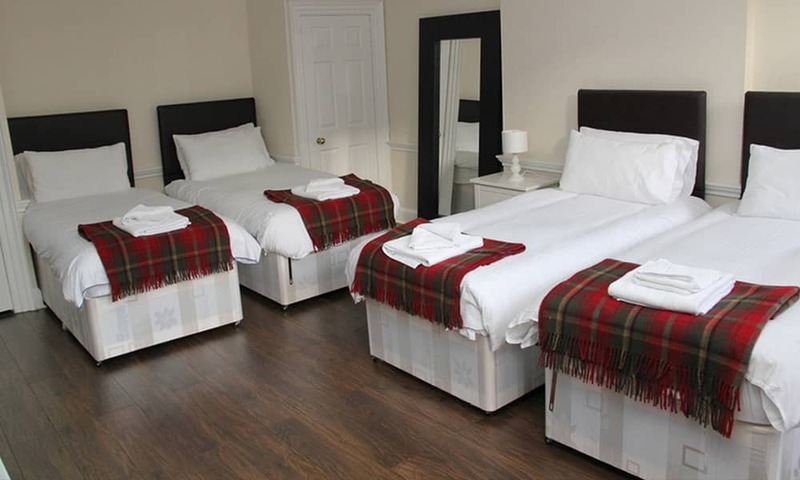 We have a variety of different apartments all sleeping different amounts and they are ideally situated close to Edinburgh city centre, under 10 minutes walk from Princes street. Each apartment has a large, open plan kitchen dining lounge area, ideal for your entire group to relax all together. The kitchen area is fully equipped for all your self catering needs including a microwave, large fridge and modern fittings. A comfy, corner-style sofa, WiFi and a wall mounted TV, make a great entertainment space. These luxurious city centre apartments can sleep up to 3 people with a choice of double bed or single beds, with a sofa bed in the lounge area. These apartments can sleep up to 5 persons with a choice of double beds or single beds or mix and match, also features a double sofa bed in the lounge area.The apartment also has a large living area with dining table and also has a modern bathroom with walk in shower. The 3 bedroom apartments can sleep up to 6 persons with the option of doubles or singles in each. 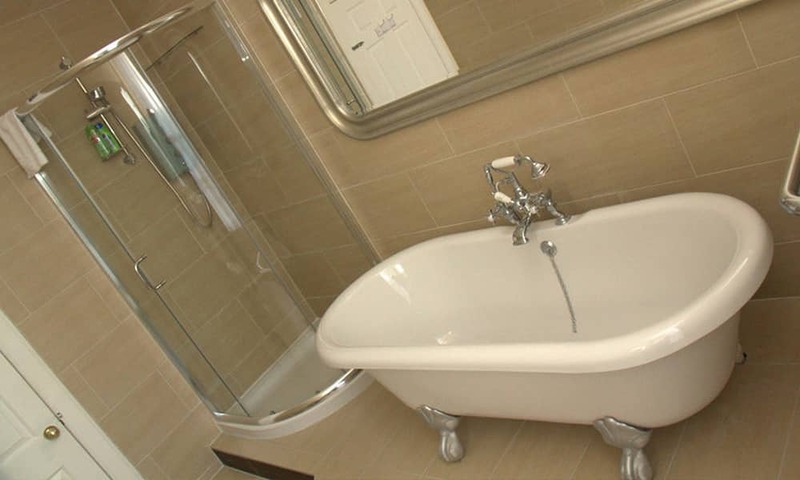 The apartment also has 2 large modern bathrooms. This 4 bedroom city centred apartment can accommodate up to 8 persons with the option of doubles or singles in each and fold up beds can also be added to sleep an additional 4 people. The apartment also features a modern kitchen and large dining area, a bathroom with a shower and bath and 2 other separate shower rooms.